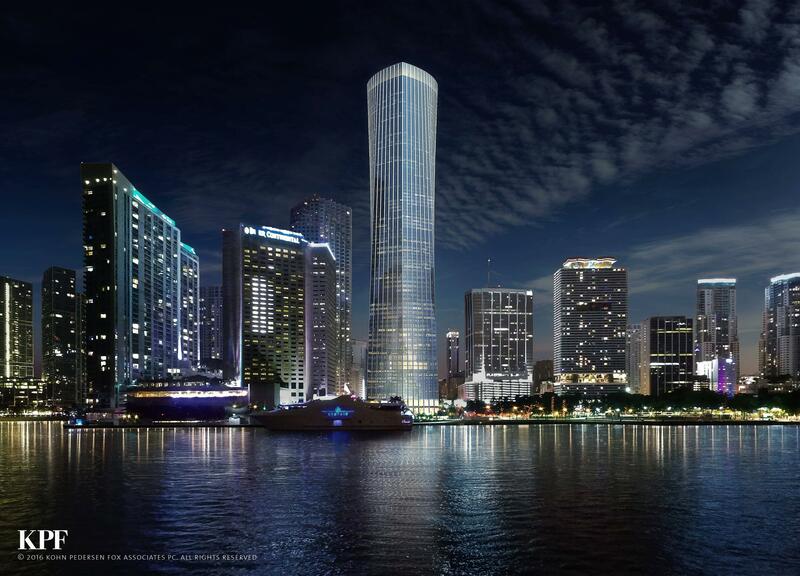 The developer of the 92-story One Bayfront Plaza tower has resubmitted their plans to the Federal Aviation Administration. According to the September 14 filing, the tower will rise 1,044 feet above ground, or 1,049 feet above sea level. Construction is set to begin on May 1 2019, the application states. In 2015, the FAA approved plans for a 1,005-foot tower on the site. 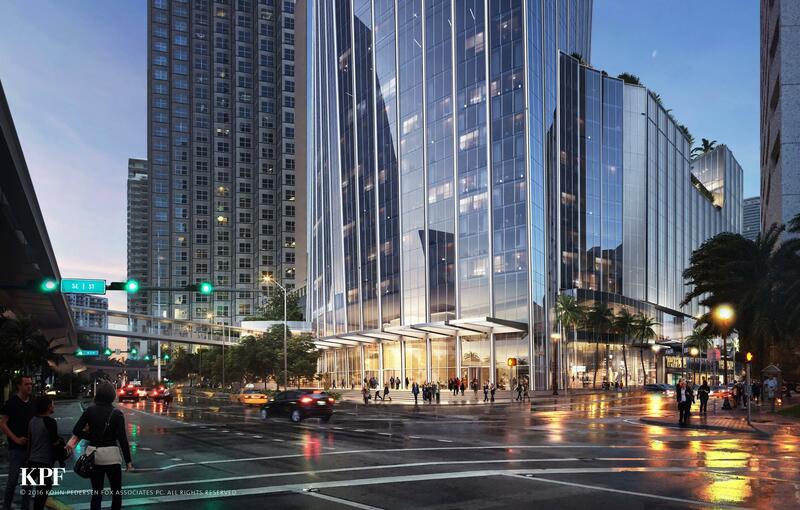 In 2016, the developer applied for approval to build at the taller 1,044-foot height, but it isn’t clear if approval was ever granted or if it has expired. 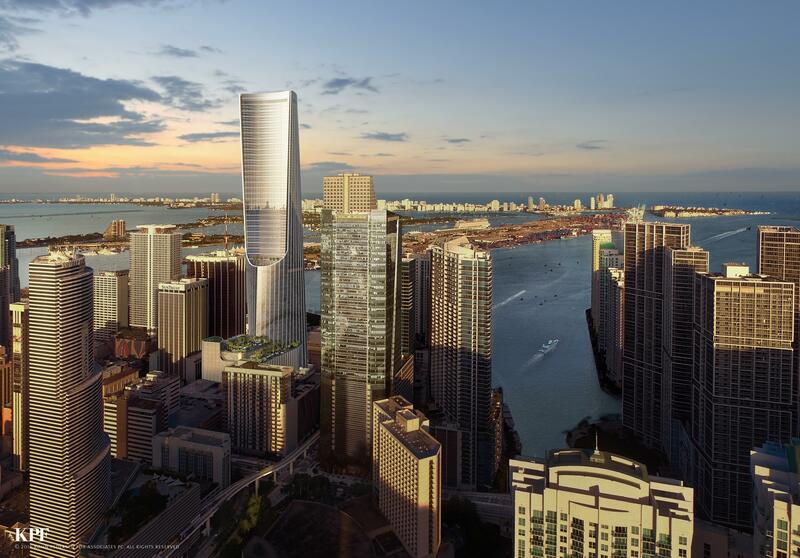 Developer Florida East Coast Realty also obtained approved in 2016 for a 1,049-foot tower at 1201 Brickell Bay Drive, known as The Towers by Foster and Partners. An extension of that approval was granted, with expiration set for October 2019 if construction doesn’t start by then. 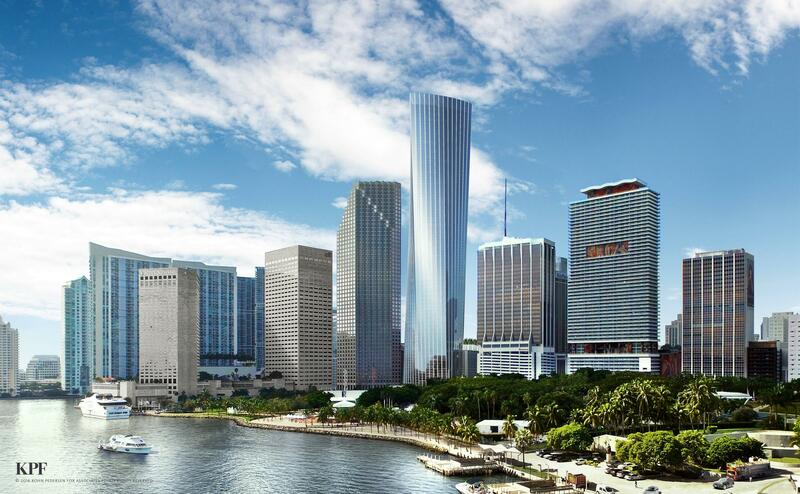 One Bayfront Plaza was approved late last year by city planners to include residences, hotel, office and retail space. This building is going to reshape the skyline of Miami. It’s just beautiful! I’m so sick of talk about this project.. either do it or shut up! Keep your pants on! It takes a while to build a 92 story building, specially in Miami. Keep your pants on?.. dude, they’ve been reporting on this project since at least January 2014!!! Fingers crossed. Once they start demoing the current tower on site then I’ll feel more confident about this one. When are the lease holders out of there? It looks pretty full. Vacating could be a painful process. Please just build this already! ? Not enough parking, it needs to be tripled at least. A thirty story parking pedestal would be awesome!!! Careful there, we wouldn’t want you hurting your arm, patting yourself on the back for your clever comment. Hearing people talk about parking is more tiresome than talking about this project on this site. Our soon to be tallest! By the time they finish redesigning this thing they’re going to realize that it is not adequate for the (then) market conditions and will end up going back to square 1. If they dont expedite the design process, this project will never come to fruition. Either that, or theyll have take a gamble and still push thru with development even if the design is not optimal for the market down the road. what part of the design would be different?